Autcraft - Home - The First Minecraft Server for Children with Autism and Their Families - Autcraft.com - A Big Big Thank you!! 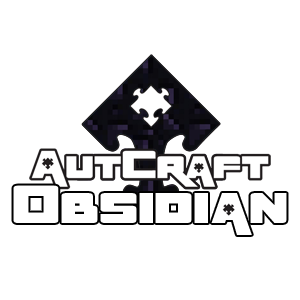 Autcraft is a whitelisted Minecraft server for children (and adults) that have autism and their families. What this means is that if you or a family member has autism and you own the computer version of Minecraft, you can register and apply to be put on the whitelist and play with other people just like you. Waiting time for assessment of applications is approximately 2 weeks, due to recent increased interest in our server. Autcraft was created by Stuart Duncan (aka AutismFather in game) who not only has autism himself but also a child with autism as well. The server is administrated by adults that include autistics, parents of autistic children or a family member of someone with autism. There are also "Helpers" that include children that prove to be responsible, positive and helpful with people; and "SrHelpers" which are adults that demonstrate some knowledge of the game as well as being respectful, responsible and helpful. For more information, please check out our Wiki, visit our Forums or visit us on social media on : Facebook, Twitter or Google+. A Big Big Thank you!! So AutconUK and Minevention are over, what a fun time we all had. 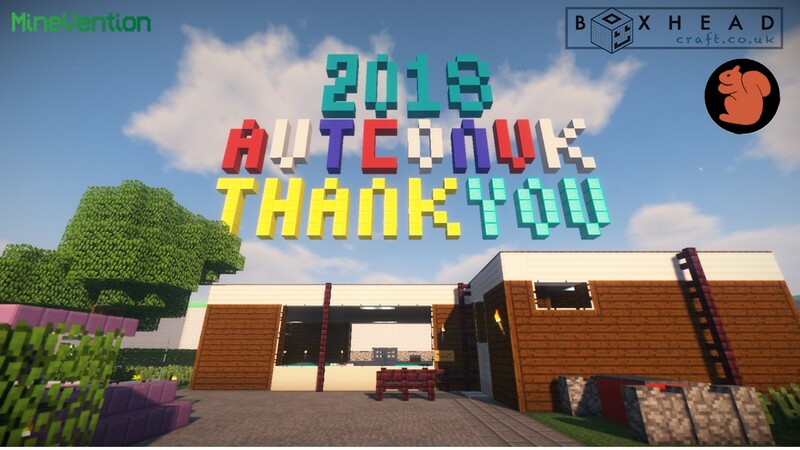 AutconUK was a huge success especially as we had AutismFather join us and then a YouTuber called WizardKeen, which just made our day extra special. Minevention was amazing, it felt like Autcraft was on tour, watching AF and TheDonster on stage was awe inspiring. We were all walking around in our Autcraft T-shirts representing the server and often being stopped by people asking us all about it. Anyway I need to thank all the parents and players that came along to Autcon, I hope you all had a safe journey home. It was an amazing day and I hope to see you all again at next years AutconUK. I would also like to thank Minevention, Boxhead Craft, Squirrel Coffee, and all the Mums and Dad's that helped out. A special thank you goes to covakaresmum, your cookies were Autsome, Gwaryers Mum for making those super bracelets and Hannah's Mum and sister for doing the glitter tattoos. Also, HannahMC00 and my children DaisyBoo and TheDonster for taking charge of all the digital and creative tasks that needed doing, between the three of them they did an excellent job. Thanks also to ScotGator, SavageCabbage and EvilDaQueen for coming to the rescue when my transport for the hall let me down last minute. So it's all done now, we can all take a deep breath and rest until next year. For players 15 and older.